Seasoned theatre and circus performer Michelle Zahner brings her debut solo show to Raj House for the 2018 Adelaide Fringe. She speaks with Lisa over the phone about the development and themes of this new work. A Guide To Modern Heroism & Sidekickery is a solo show aiming to transpose the grand themes of a hero’s journey into a modern, realistic context. What does it mean to be a hero in everyday life? What if your superpowers aren’t that super? An entertaining, energetic work exploring our roles and responsibilities to ourselves and each other. Click here for further information and to book tickets. 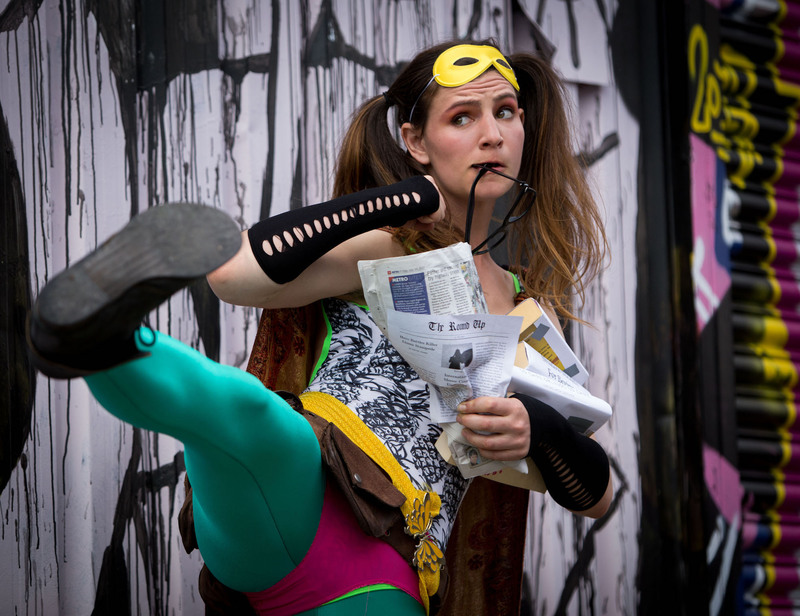 A Guide To Modern Heroism & Sidekickery will show at Rastelli, Stirling Fringe 3 and 4 March before completing its season at Raj House 6-18 March.